Website Ripper Copier is an all-purpose tool made for downloading whole websites or its desired parts so you can view and browse them offline. The program has the ability to save and copy complete or partial websites that will be then optimized for offline viewing. 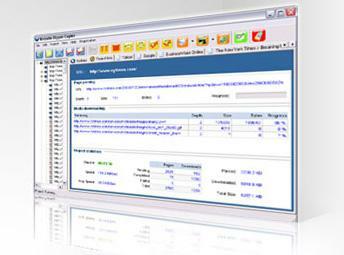 It can also extract specified files by size or type including images, videos, music, web pages, webzips and other. It can download these files from one host and if the website offers the links for mirror servers it can download the files from them as well. Next to being a ripper and copier this piece of software can act as a website link validator, website explorer and tabbed anti popup window tool. Website Ripper Copier is the only software of its kind on the web that can continue downloads of the desired websites from all kinds of servers including HTTP, HTTPS and FTP. It can also access protected sites; it supports cookies and can perform analysis of deployed web scripts. The application comes with the abilities to update, edit, delete, browse, copy and retry each download task and it offers special filters that can filter content by inner text of the link, as well as by file type, file size, file name, URL and hosted server. This application is considered to be one of the best web crawlers and webspider programs available on the web and it is suitable for both beginners and experienced users.